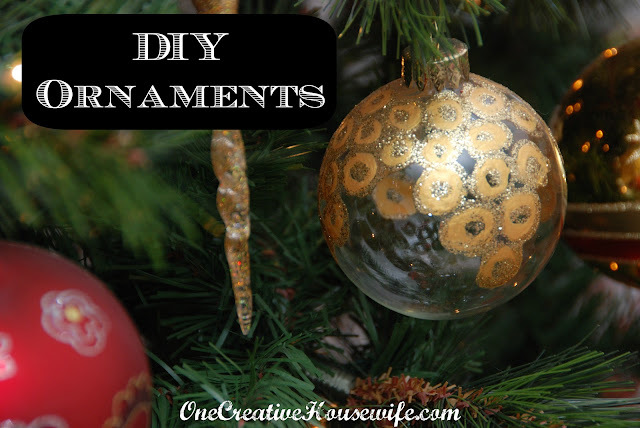 Today I'm going to share with you a fun and easy way to make your own ornaments. The great thing about this is you can have fun and create something completely your own, or you can try to recreate something you see on the market for a lot less money. 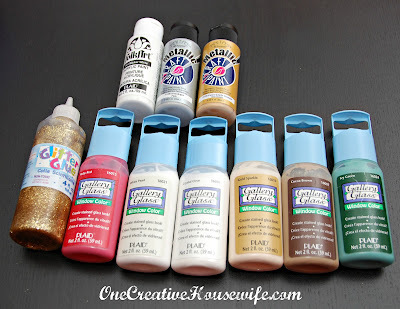 You will only need a paint brush for your acrylic paint. The tips of the glass paint and glitter glue work perfectly for creating designs and moving the paint where you want it. There are 2 methods to doing these ornaments. 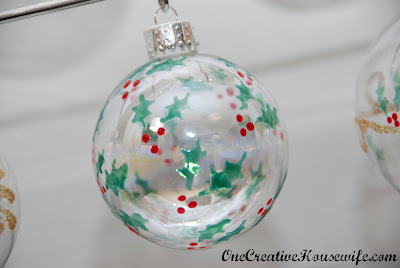 The first, is to do half a ball at a time, and allow the paint to dry before flipping it over and completing it. 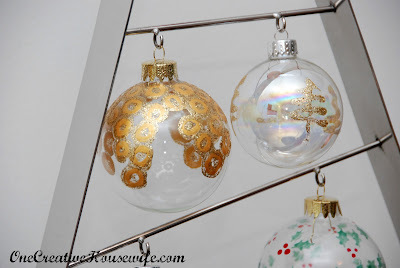 The second way is to complete your ornament all at one time and hang it to dry overnight. 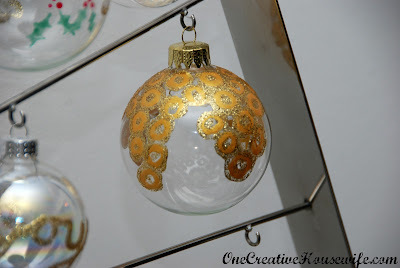 For the ornaments with paint all over, I recommend doing one half and then the other. That way you will be able to hold the ornament. These holly leaves are done with the Ivy Green and Ruby Red Gallery Glass. The gold glitter on this ball is glitter glue, and the gold circles are gold acrylic paint. 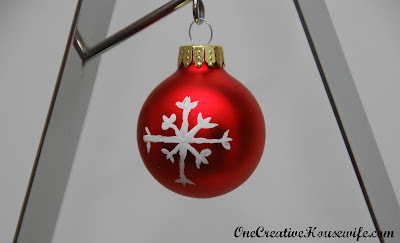 For the snowflake on this one, I used white acrylic paint. 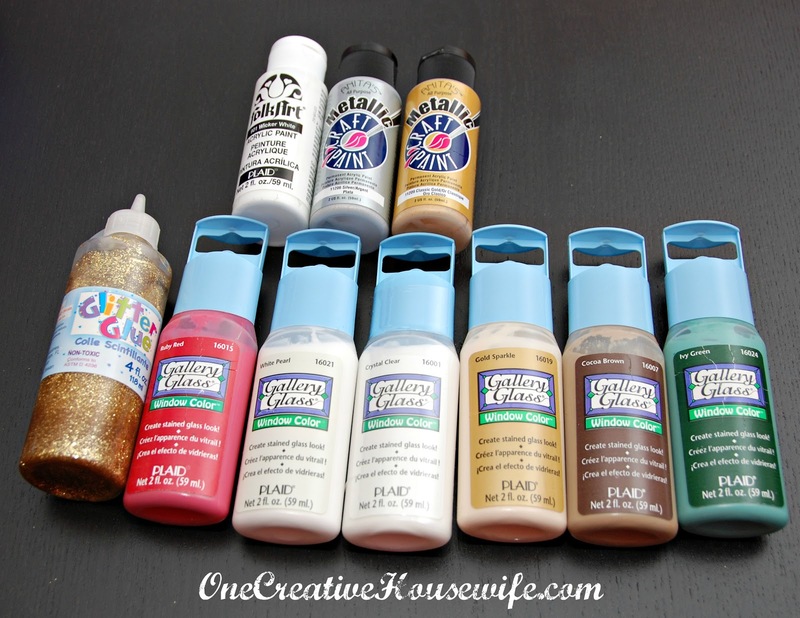 Due to the glass paint's long drying time; I recommend painting the acrylic paints first, then the glitter glue, then the glass paint. When using them on the same ball, allow each paint to dry in between each step. This will allow you to complete the ball faster. 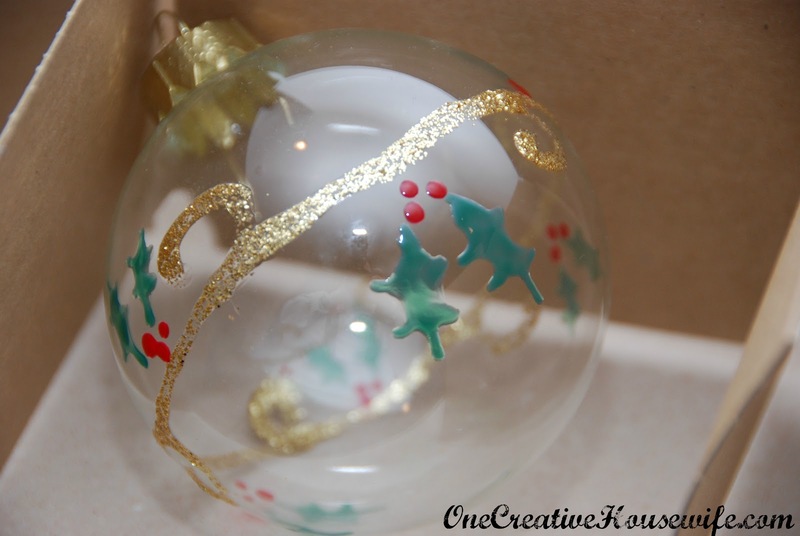 You could create some cute gifts doing this, or even use a small ball as a name tag for a gift. I think next year I am going to let my kids have a go at it, and see what they create!